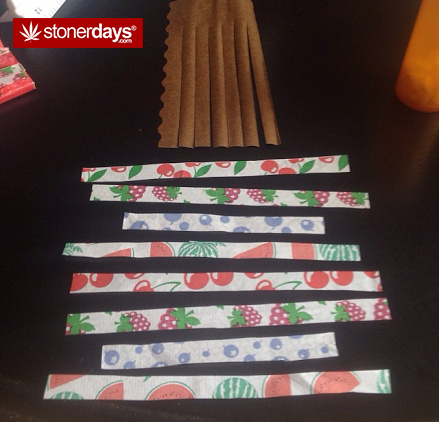 To weave a fruit flavored “bloint” (joint/blunt) you’ll need the supplies pictured here. 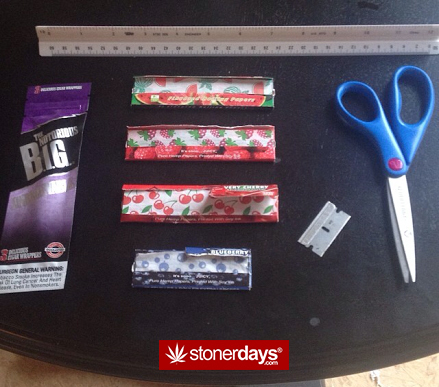 The blunt wrap and flavor of joints are up to you, however I find Notorious BIG wraps the easiest to weave with. Begin by using the razor blade to cut strips of equal width. 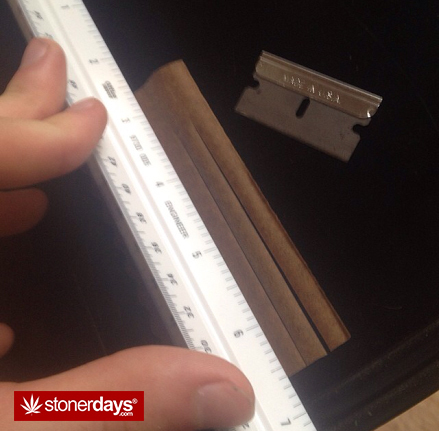 It’s very important you don’t cut all the way across the blunt. Leave about an inch of space so the wrap stays in one piece. 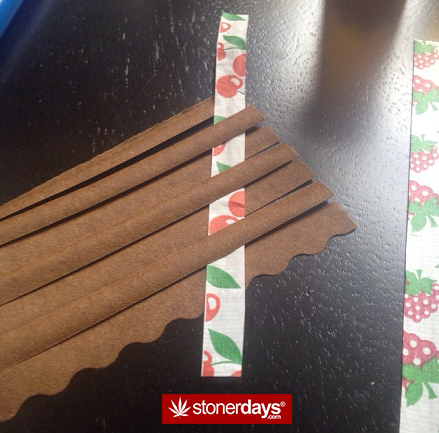 Cut strips of your rolling paper out that are the same width. Weaving the papers through is easiest when they are at an angle. 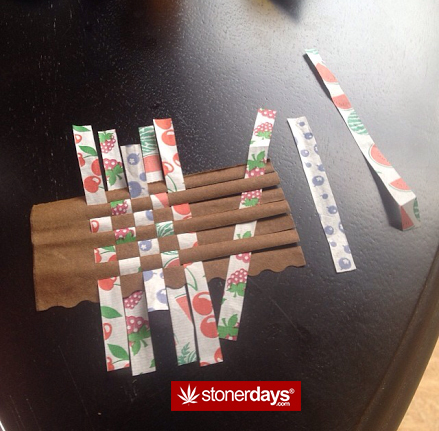 That way you can focus on one blunt strip at a time when pushing it over or under the paper. 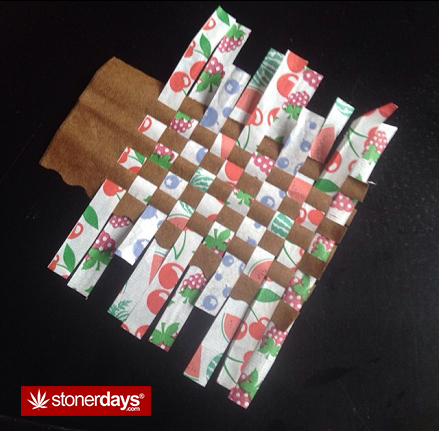 Pull each paper strip down until it’s tight against the other strips to minimize holes. 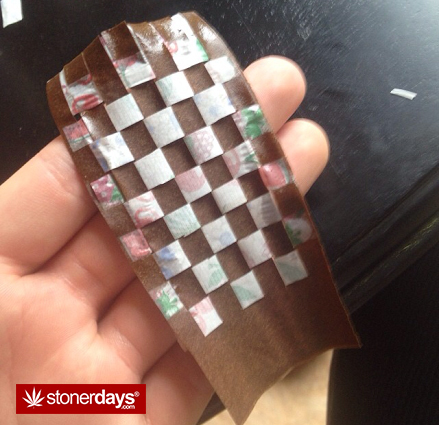 Once you have weaved all the way to the end you can cut off the excess paper on each side of the blunt. Wet all the edges down to secure the paper to the blunt. 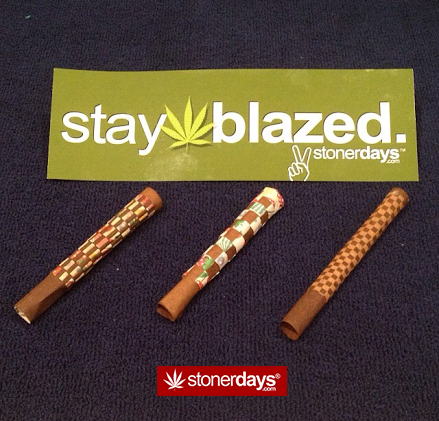 When it has dried you can roll your final product. 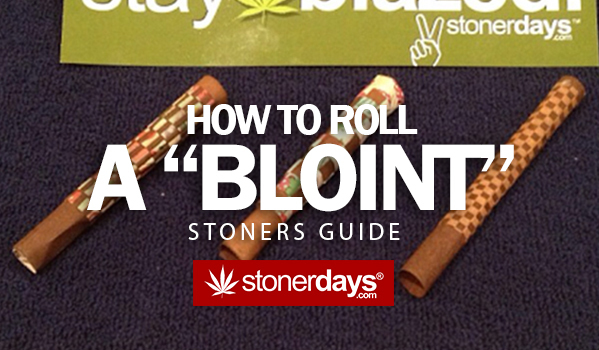 Once you have rolled your Bloint kick back and enjoy! 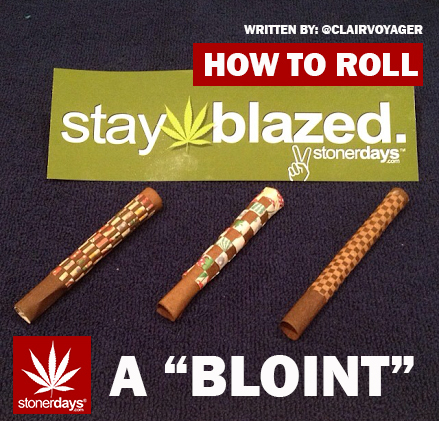 Your Bloint is now complete and ready for smoking! Enjoy 😎 . Big thanks to @clairvoyager! Check him out on IG.